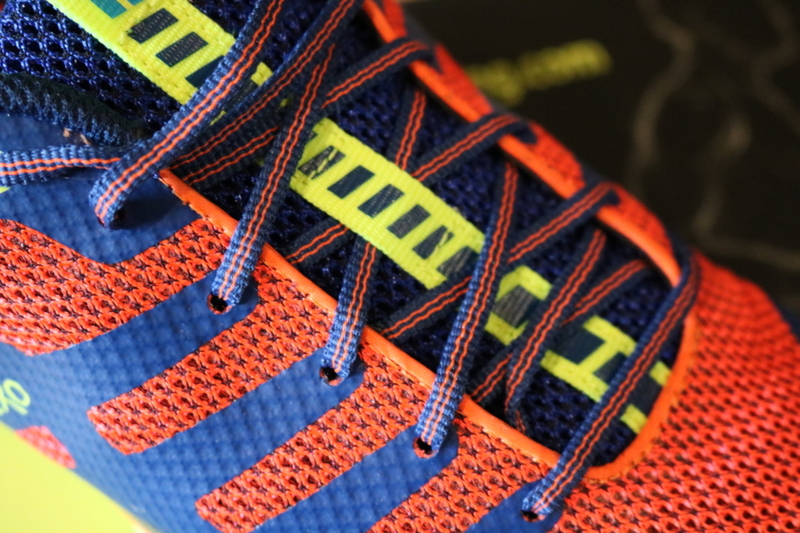 Salming Sports is a new shoe company to the obstacle course racing market and North America. The company was originally founded in Sweden in 2001 and in the last two years has been building momentum in the North American market in the road running community. The launch of Salming OT Comp is the first shoe from the company made for the obstacle racing enthusiast. 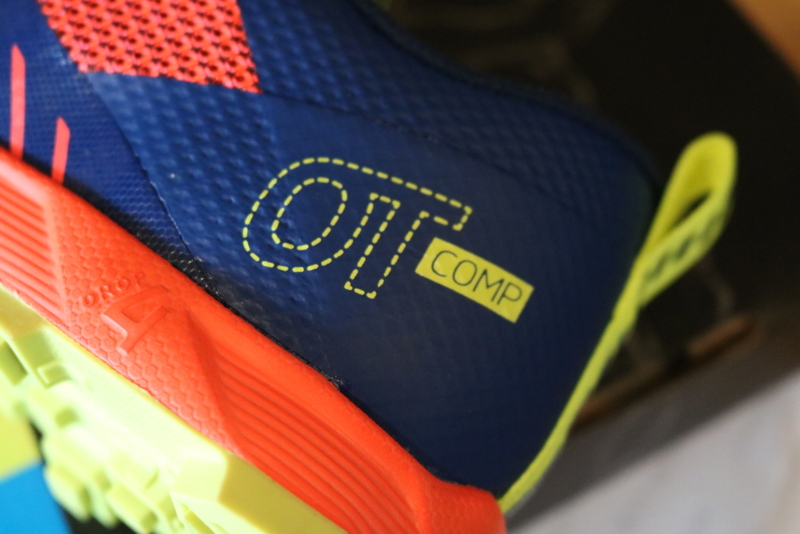 OT Comp is short for off-trail competition, Salming teamed up with technical soles authority Michelin, in order to create a lightweight agile self-cleaning shoe with incredible traction that caters to the needs of orienteering, OCR, and swim-run athletes. A mix of Michelin’s critically acclaimed mountain bike and motorbike tires; Wild Mud and Starcross 5 inspires the lug design of the outsole. The lugs are constructed for maximum penetration in mud when searching for harder ground and grip. The small difference in height, built into the lug itself, allows for excellent penetration. At the arch, there’s a tread design for stability, control, and traction on obstacles. The base structure that connects the outsole to the midsole, adopt the Michelin Fiber Lite Technology construction that enables extreme lightness through a very thin but very durable textile layer. The Michelin Fiber Lite technology derives from Michelin’s tire making experience where the tire structure is partly made of fiber. These areas are recognized on the outsole as the embossed downward areas with a clear textile texture surface. The rubber compound used in the OT Comp outsole is Michelins OCX – Extreme Outdoor Compound – that features an extreme adherence on wet slippery surfaces due to its special sticky compound. The Salming OT Comp upper construction has a lightweight mesh body allowing excellent water drainage and breathability. 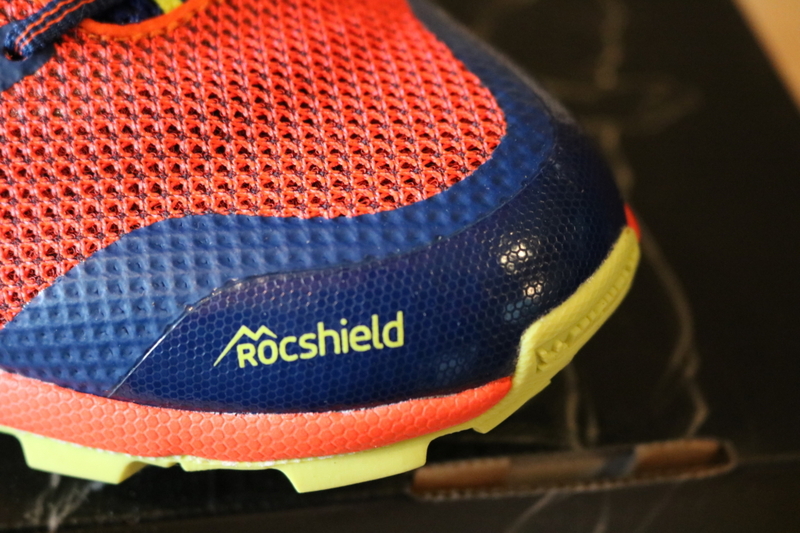 The side areas exposed to the wear and tear of rugged terrain has added RocShield reinforcement areas, protecting your foot and shoe. Luckily, there are no shortages of trails around me living in Salt Lake City. Over the last few weeks, I have been taking the Salming OT Comps both on and off the trail for runs and explorations. My first impression about the shoe was how colorful it was, not exactly a technical trait but it is colorful and will stand out. Next, I noticed as written above the soles created my Michelin. 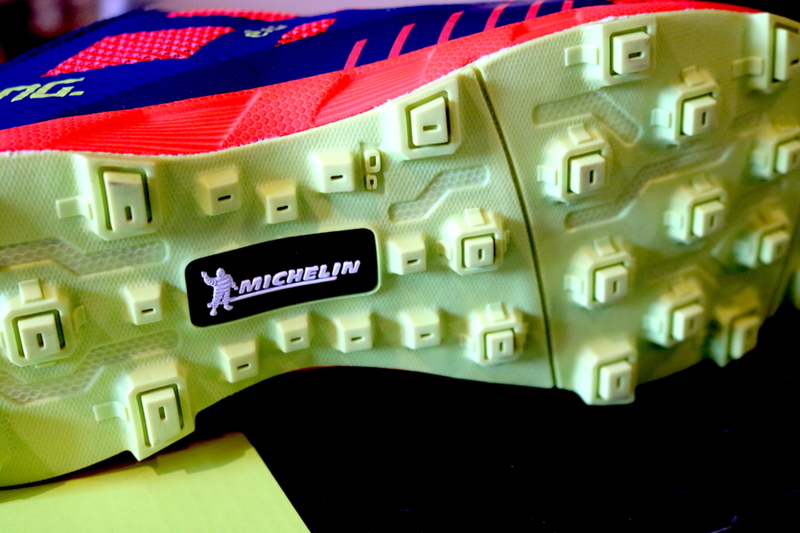 Michelin is known for their car and mountain biking tires and these soles incorporate both technologies. When I put the shoes on at first the heel cup felt a little stiff, however, the shoe as a whole is not stiff at all. It only took one run for my feet to get adjusted to the shoe and have been able to put in nearly 50 miles on the shoe without a single blister. The mesh upper expels water very well and should be great for even the muddiest of trails or obstacle races. That Michelin sole I mentioned performed great on the trail, log crossings, slick rocks, and a little bouldering up and over some massive rocks during a recent run, fish, run adventure. As someone who has spent a lot of time in Inov-8's, Altras, and a bit in Reebok. I can say that the Salming OT Comp rates up with the best obstacle racing shoes in the industry. Couple their sponsorship of Savage Race and look for these shoes to make a market impact in the next year or two. Overall, these shoes are great for the obstacle course racer looking for a lightweight off trail shoe that offers solid lugs, great drainage, and will stand up to the rigors of obstacle racing.